For several decades, Australian businesses, exporters and the community have grown their footprint across the region. Today, for Australia, the minerals and energy boom is the most visible, but not the only, aspect of Asia’s rise. As the century unfolds, the growth in our region will impact on almost all of our economy and society. An increasingly wealthy and mobile middle class is emerging in the region, creating new opportunities. They are demanding a diverse range of goods and services, from health and aged care to education to household goods, and tourism, banking and financial services, as well as high‑quality food products. Beyond economic gains, there are many valuable opportunities for building stronger relationships across the region, including through closer educational, cultural and people‑to‑people links. Australia starts from a position of strength. Just as our region has a lot to offer us, we have a lot to offer our region. We have strong, world-leading institutions, a multicultural and highly skilled workforce, and a productive, open and resilient economy, which is one of the strongest in the world. These assets have been reinforced by a series of economic reforms and good decisions made over past decades, including Australia’s world-beating actions to avoid the worst impacts of the Global Financial Crisis. Our strengths have long been reflected in Australia’s interaction with countries in Asia. Over the past 50 years, Australia’s trade with Asia as a share of our total trade has risen dramatically. Our financial, political and cultural links have deepened. We have strong relationships and close friendships with countries across the region. But Australia’s success will be based on choice, not chance. In order to succeed, we must sustain the policy settings and pathways that have served us well. We need to reinforce our strong social foundations, including our national institutions, our cultural diversity and our outward-looking society. First, irrespective of how the Asian century evolves, Australia’s prosperity will come from building on our strengths. We need to reinforce the foundations of our fair society and our prosperous, open and resilient economy at home. We need to build on areas where we already perform well, in order to extend our comparative advantage. Critical to this will be ongoing reform and investment across the five pillars of productivity—skills and education, innovation, infrastructure, tax reform and regulatory reform. Second, as a nation we must do even more to develop the capabilities that will help Australia succeed. Our greatest responsibility is to invest in our people through skills and education to drive Australia’s productivity performance and ensure that all Australians can participate and contribute. Capabilities that are particularly important for the Asian century include job‑specific skills, scientific and technical excellence, adaptability and resilience. Using creativity and design-based thinking to solve complex problems is a distinctive Australian strength that can help to meet the emerging challenges of this century. As a nation we also need to broaden and deepen our understanding of Asian cultures and languages, to become more Asia literate. These capabilities are needed to build stronger connections and partnerships across the region. 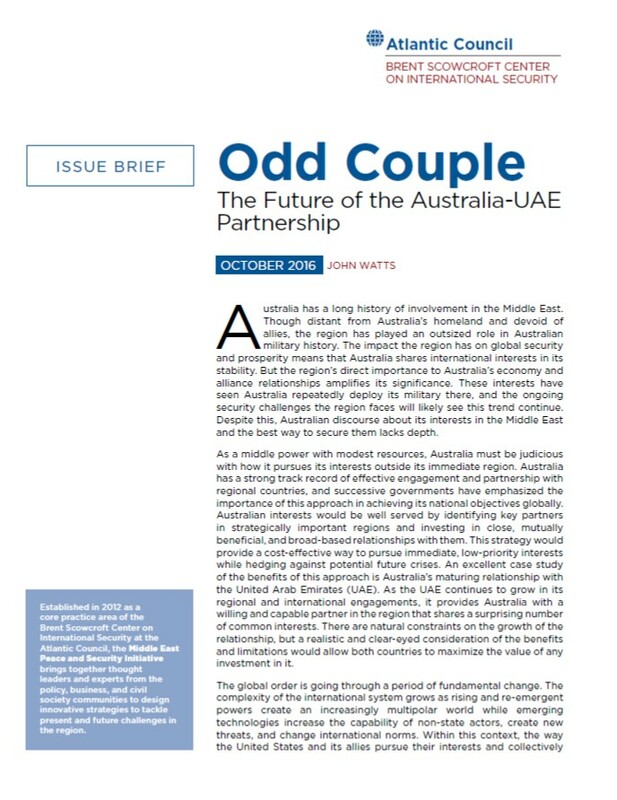 Third, Australia’s commercial success in the region requires that highly innovative, competitive Australian firms and institutions develop collaborative relationships with others in the region. Australian firms need new business models and new mindsets to operate and connect with Asian markets. We will work to make the region more open and integrated, encouraging trade, investment and partnerships. Firms will adapt their business models to seize the opportunities created in our region. Fourth, Australia’s future is irrevocably tied to the stability and sustainable security of our diverse region. Australia has much to offer through cooperation with other nations to support sustainable security in the region. We will work to build trust and cooperation, bilaterally and through existing regional mechanisms. We will continue to support a greater role for Asian countries in a rules‑based regional and global order. Australia’s alliance with the United States and a strong US presence in Asia will support regional stability, as will China’s full participation in regional developments. Fifth, we need to strengthen Australia’s deep and broad relationships across the region at every level. These links are social and cultural as much as they are political and economic. Improving people-to-people links can unlock large economic and social gains. While the Australian Government plays a leading role in strengthening and building relationships with partners in the region—with more intensive diplomacy across Asia—others across a broad spectrum spanning business, unions, community groups and educational and cultural institutions also play an important role. Stronger relationships will lead to more Australians having a deeper understanding of what is happening in Asia and being able to access the benefits of growth in our region. In turn, more of our neighbours in the region will know us better than they do today. Success in the Asian century requires a whole-of-Australia effort, with businesses, unions, communities and governments being partners in a transformation as profound as any that have defined Australia throughout our history. It is in the interests of all Australians—and therefore in the national interest—to develop the capabilities and connections that Australia will need, so that we can contribute to, and learn from, the region, and take full advantage of these opportunities. The challenges ahead require sustained effort; Australians cannot build stronger relationships or learn new skills overnight, or even over five years, especially given the diversity of the countries in our region. Some actions can be taken immediately, but others require further conversation among communities across the nation, detailed planning and careful implementation over a generation. Chapters 1 to 4 of the White Paper explain the extraordinary rise of Asia over recent decades and its likely future to 2025. They examine Australia’s place in Asia and our outlook to 2025. This sets the scene for a roadmap for Australia in the Asian century. Chapters 5 to 9 set out an ambitious set of national objectives and pathways to guide Australia to 2025. Advancing and implementing these national objectives sets the agenda for taking full advantage of the Asian century, but achieving these objectives will require a concerted and coordinated effort from the entire community.